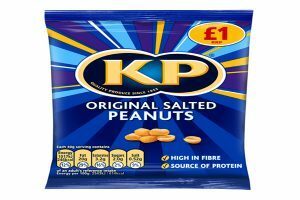 With nut products increasingly being consumed outside of the traditional seasonal peaks and new snacking consumption trends being identified, KP Nuts is looking to spearhead further category growth with a packaging upgrade and a modern look. 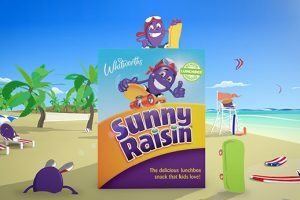 Mondelēz International is responding to consumer demand for more wholesome savoury snack options with its first new snack brand in over a decade, GOOD THiNS. 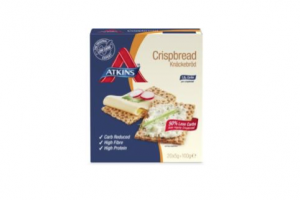 New Atkins Nutritional Approach, the weight management bar category, has unveiled a new look in an effort to move the brand range into the mainstream grocery category in the UK. 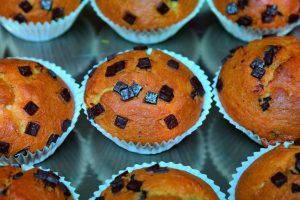 Butterkist is set to drive further sales for retailers in 2016 by investing £3m in advertising this year, a 50% increase on 2015, with its TV advertising campaign reaching a further 1m people. 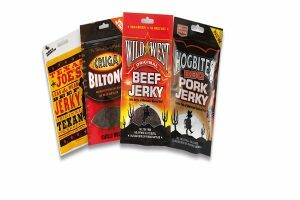 Meat snacks are becoming a popular snack of choice across the UK due to them being healthy and high in protein, and act as a healthy alternative to the average snack. 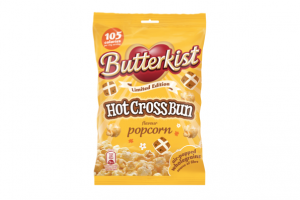 Butterkist is set to release a limited edition popcorn for the Easter snacking market. 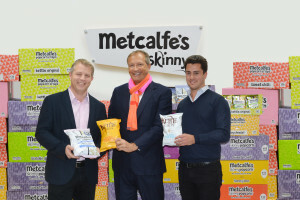 Metcalfe’s skinny has announced a business partnership with Kettle Chips UK. 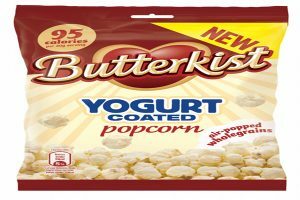 Butterkist is set to tease the taste buds of popcorn lovers with the launch of the very first yogurt coated popcorn. 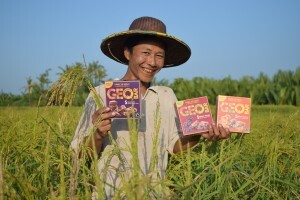 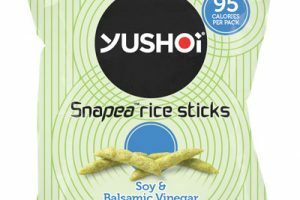 Calbee UK, the first European subsidiary of Calbee Inc, the £1.2bn Japanese savoury snack supplier, has announced an agreement with Tesco that will see its first product, Yushoi Snapea rice sticks, feature in all four flavours across a portfolio of more than 650 stores nationwide from this month. 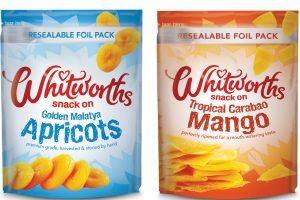 Whitworths has introduced the Shots range of snack packs that each contain 100 calories. 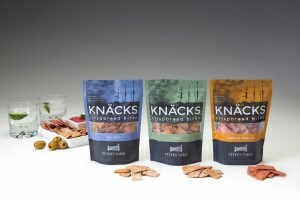 Peter’s Yard is extending its range and moving into the growing baked snacks category with the launch of three new baked crispbread bites: Sea Salt; Five Seed; and Cumin & Nigella Seed. 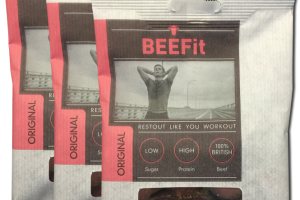 BEEFit – a British company making 100 per cent British beef biltong – has launched a range of high protein, sliced, spiced and dried beef biltong – the perfect choice for an enjoyable on the go or post-workout snack. 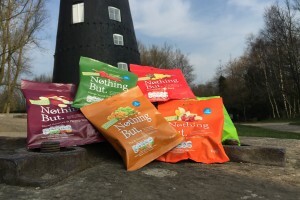 Introduced by The Premium Snack Company, Nothing But’s freeze dried fruit and vegetable snack packs are available in six flavours and offer a healthy option in a sector traditionally dominated by sweets, crisps and nuts. 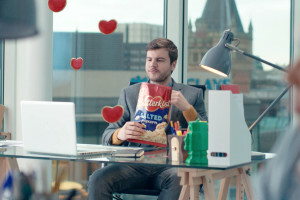 Butterkist is back with prime TV spots after delivering £3.8 million incremental sales into the popcorn category when it returned to our screens on Valentines Day. 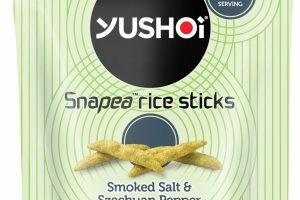 Yushoi Snapea rice sticks announce a new baked savory snack from Calbee UK. 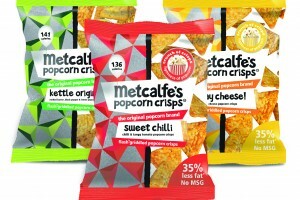 Metcalfe’s skinny is launching a Popcorn Crisps range. 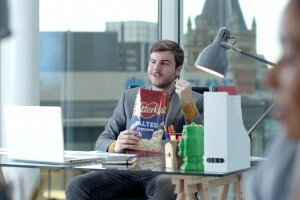 Whitworths has announced the launch of its first ever TV campaign. 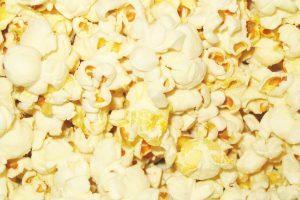 Hand popped and manufactured at The Poppery in Devon, Portlebay Popcorn’s Cinnamon Swirl flavour is the ideal gourmet snack to spice up the festive party season.